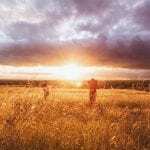 While it contains a plethora of budget options for travelers, finding the best hostels in Istanbul can be a challenge. There are many an Istanbul hostel, but not all were created equal. 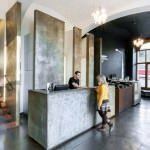 So we did the work for you, and put together this list of great Istanbul hostels so you can make the most out of your visit to this splendid city. Istanbul has been one of the most visited cities in the world for years now. And with good reason. Turkey’s largest city is filled with character, ambiance, color, and history… and tons of charm. 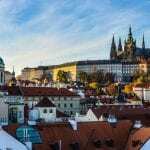 Recent unfortunate events in Istanbul have convinced many tourists to cross the city of their bucket lists, which has lead to a decrease in the prices of flights and accommodations. 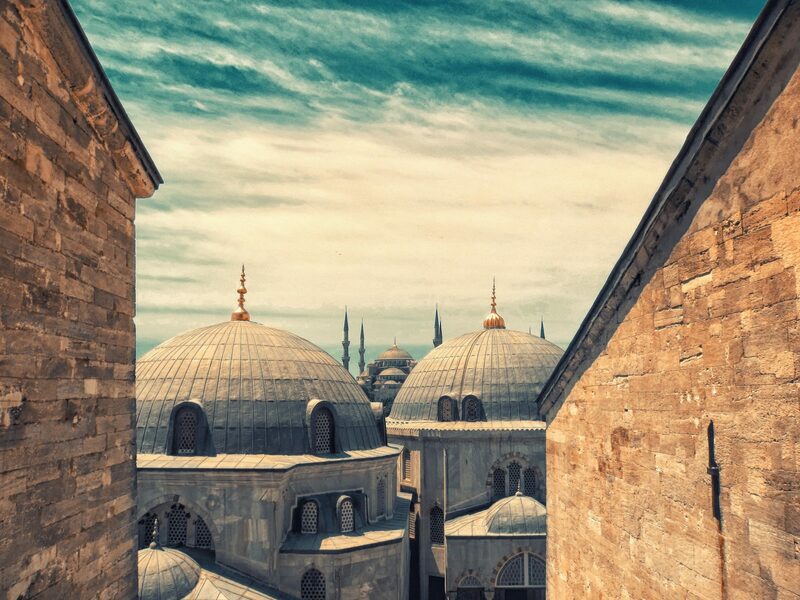 This means that visiting Istanbul has never been more affordable. 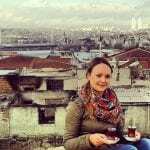 Staying at an awesome hostel in Istanbul can reduce the cost of your trip even more. 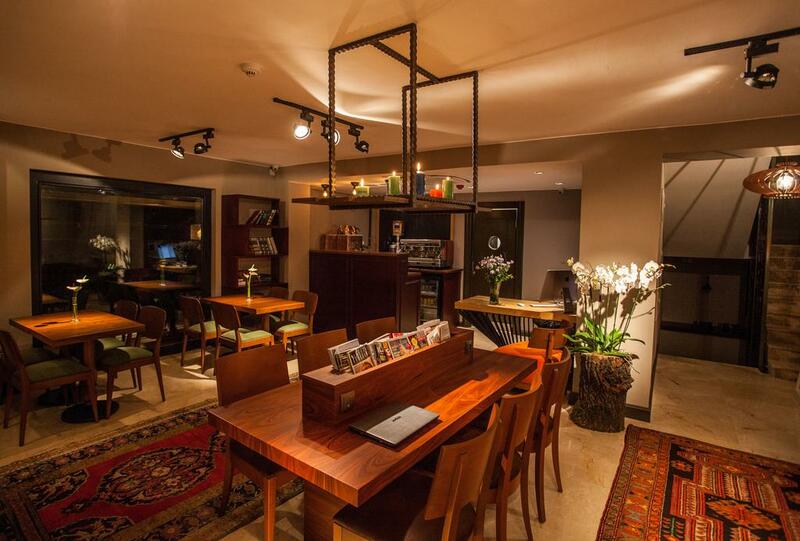 The best hostels in Istanbul have more to offer than just cheap dorm beds. The right hostel should feel like a cozy, secure, and comfortable little home away from home. The best hostels in Istanbul should also offer its guests plenty of ways to meet other travelers, have a nice atmosphere, pleasant and friendly staff. All of this is super important if you want to be social while traveling, of course. A great Istanbul hostel is also clean, tidy, organized, run professionally, and mindful of the needs of it guests. Huge bonus if it has a nice kitchen to cook meals in which will save you tons on your budget. With all of this in mind we put together a list of what we think are the best hostels in Istanbul. So come and see for yourself all the wonderful things this city has to offer! Cheers is a chain with six hostels in Istanbul. So our first two choices for the best hostels in Istanbul are dedicated to them. Cheers Hostel, which was voted the best hostel in Turkey for 2018 by Hostelworld, is a one minute walk from famous historic sites like Hagia Sophia, Grand Bazaar and Topkapi Palace. But the location is not the only thing that makes it one of the best hostels in Istanbul. What makes it top our list is its view over the city from its panoramic terrace and the experience that comes with it. 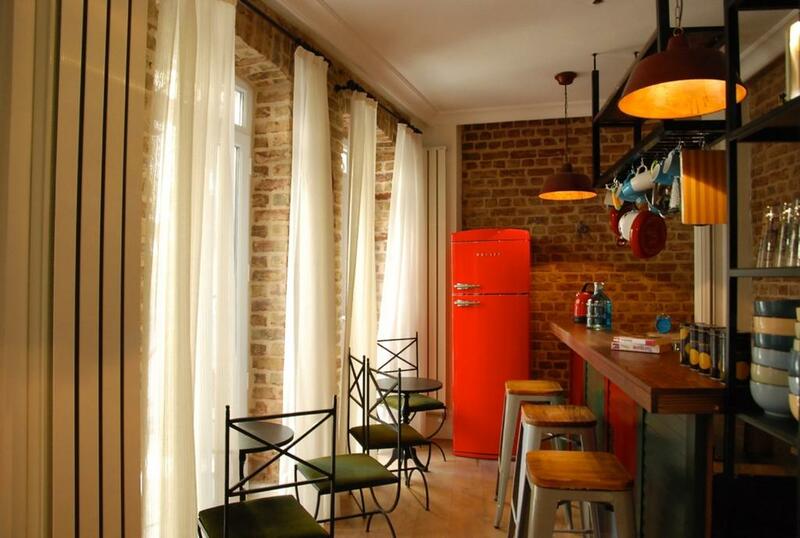 The staff is prepared to satisfy the needs of its guests year round in this Istanbul hostel. Guest can also enjoy a refreshing mojito on the terrace in the summer, Turkish tea next to the fireplace in the winter, and free Turkish breakfast all year long. Rooming options include private rooms or dorms with 6 to 10 beds. There is also a spacious and comfortable lounge to play backgammon or chat with people from all over the world. When you stay at Cheers Hostel in Istanbul you’re sure to experience a true travel spirit! Fitness fanatics will love Juliet Rooms and Kitchen. The hostel is located mere steps from a park with fitness instruments, and seaside trails perfect for running, rollerblading or cycling. You can rent a bike from the hostel for free, which can come in handy for shopping in the Kadikoy food bazaar nearby. 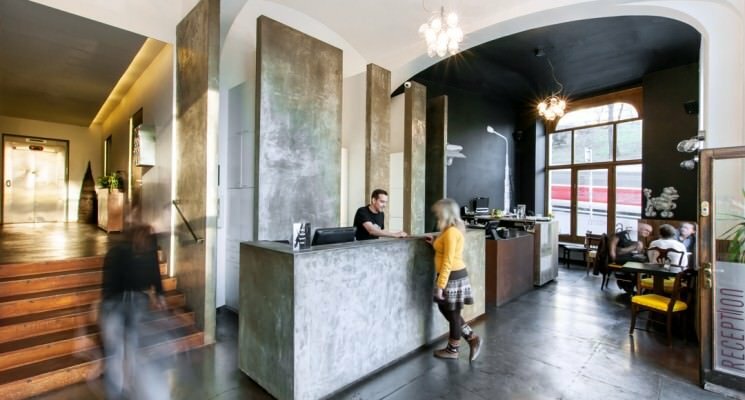 This Istanbul hostel isn’t your run of the mill budget accommodation option, it’s a stunning design hostel. Additionally, free laundry and dry cleaning services, welcome treats, newspaper deliveries, bathrobes and slippers in private rooms are all services offered to guests. If you’re seeking sanctuary and quiet but can’t afford a private room, guests can draw their bed curtains and enjoy their own contained space. Reading lamp, power and data points are included for each bed. If you are looking for a comfortable and relaxing place with super friendly staff and a cozy restaurant, Juliet Rooms and Kitchen is one of the best hostels in Istanbul for you. Back on the European side of Istanbul, and near Taksim square, is a super modern high-tech hostel called #bunk Taksim. The six-floor building is filled with diverse dormitories and private double and triple rooms. Some rooms have private bathrooms, some don’t, but either way all bathrooms are ultra clean, modern, and spacious. Additionally, guests can use their free business center for work and don’t have to worry about their possessions thanks to the secure key card room access and pin code operated private lockers. 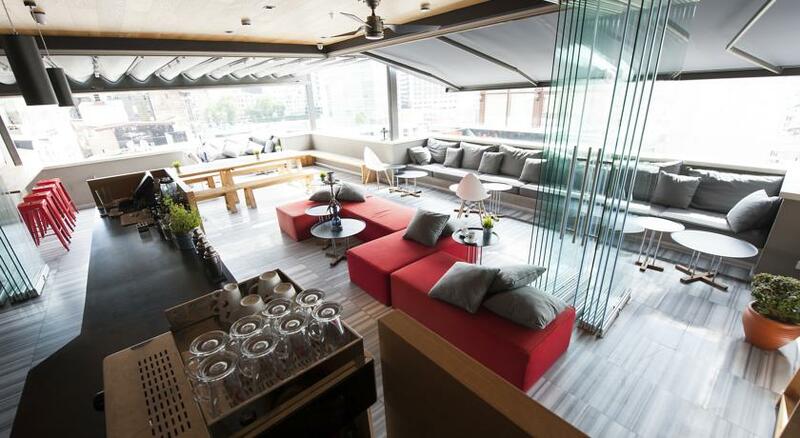 This Istanbul hostel has a rooftop terrace bar overlooking the city is the perfect place to enjoy drinks or hookah, or play board games. There is also an onsite pizzeria if you get hungry and a wide variety of options available for breakfast. #bunk hostel is perfect for travelers who need a quiet environment for work, but also great for those who want to party the nights away. The surrounding area is full of vibrant bars and clubs. But don’t worry about noise in the bedroom, you won’t be able to hear anything going on outside when you decide to call it a night. All of the above definitely comes together to make #bunk one of the best hostels in Istanbul for digital nomads and maybe even certain backpackers traveling on a budget. People or anyone who enjoys “hip spots” will love Jumba Hostel. Some might say that this place is trying too hard others will say that this hostel, located in an alternative district of Beyoğlu, is one of the top hostels in Istanbul. 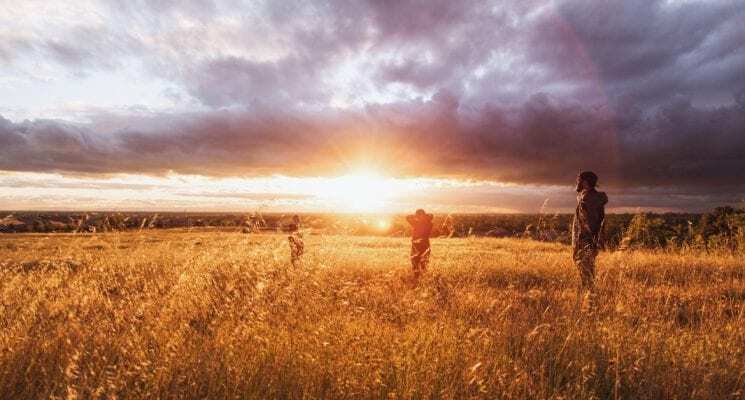 The small Istanbul hostel has private double rooms and dorms for 4 people max (we love that), and is run by three sisters who take care of everything, from cleaning, to pub crawls, to breakfast, to their special Jumba events. The sisters are crazy about cooking, and since an outstanding breakfast is included, so foodies will love staying here. The family owned atmosphere makes staying here feel more like crashing at your friend’s house for a few days. Coupled with a friendly staff, clean accommodations, personal storage lockers, and homey feel all of these factors come together to make Jumba one of the best hostels in Istanbul. About half a mile from Cheers Hostel, close to the “seaside” is the hostel’s sister property, Mansion by Cheers Hostel. 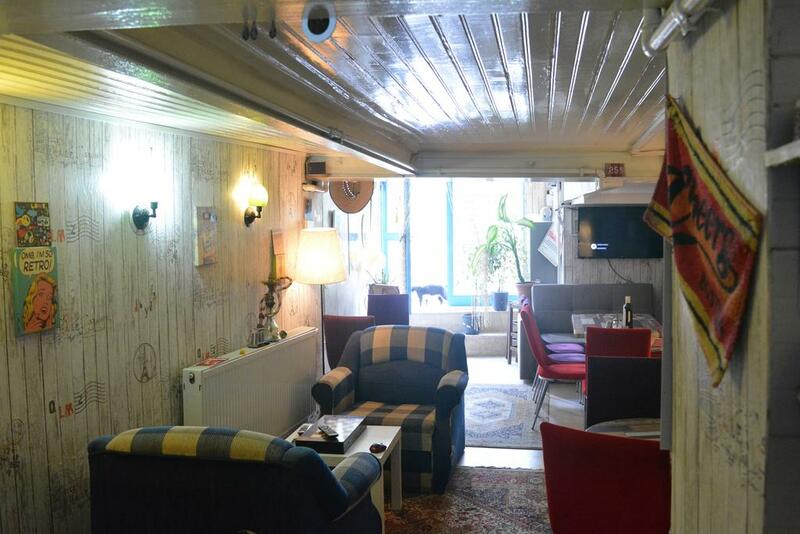 This Istanbul hostel the best option for those travelers with discerning taste who still like to socialize and party. The hostel’s charming atmosphere is made even better by the fact that guests can break bread or indulge in the lively nightlife with the legendary owner, Emre. 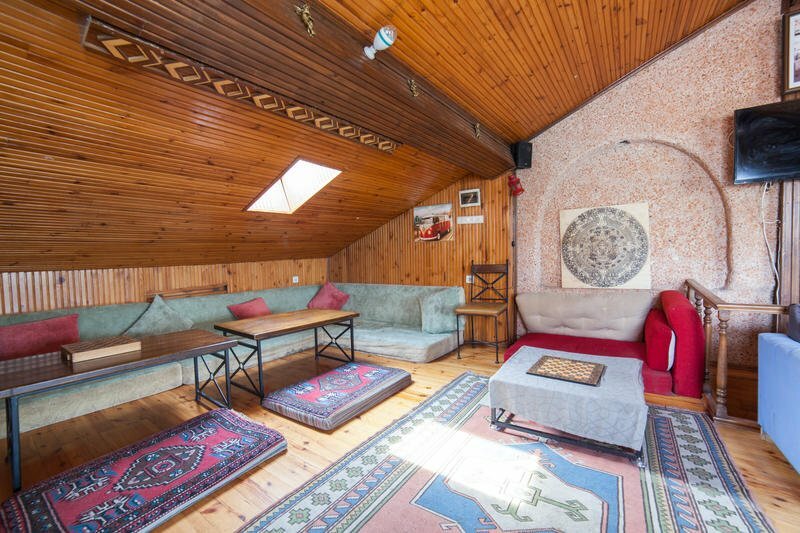 This Istanbul hostel offers guests a wide variety of accommodation options, including mixed or female only dorms for up to 6 people, or cozy but budget private rooms. All rooms have a bathroom and a toilet so you don’t have to wander the hostel corridor in the towel. If you want to experience real Turkish hospitality in the touristic quarter of Sultanahmet, check out one of the best hostels in Istanbul – Mansion by Cheers Hostel. When visiting Istanbul, don’t forget to check out its Asian side. Hush Hostel Lounge is located just few minutes from the Kadikoy port (hop on a ferry instead of the subway to enjoy beautiful views of the city), the centre of the Asian part of Istanbul. By staying in Kadikoy guests are pretty much guaranteed an authentic Turkish experience, so we highly recommend taying at Hush Hostel Lounge. Rooms are simple, but fantastically clean and comfortable. Guests can enjoy their own light and the source of electricity in the dorms, and free lockers are a sure thing. A nicely equipped guest kitchen is waiting for your to indulge in the culinary arts! 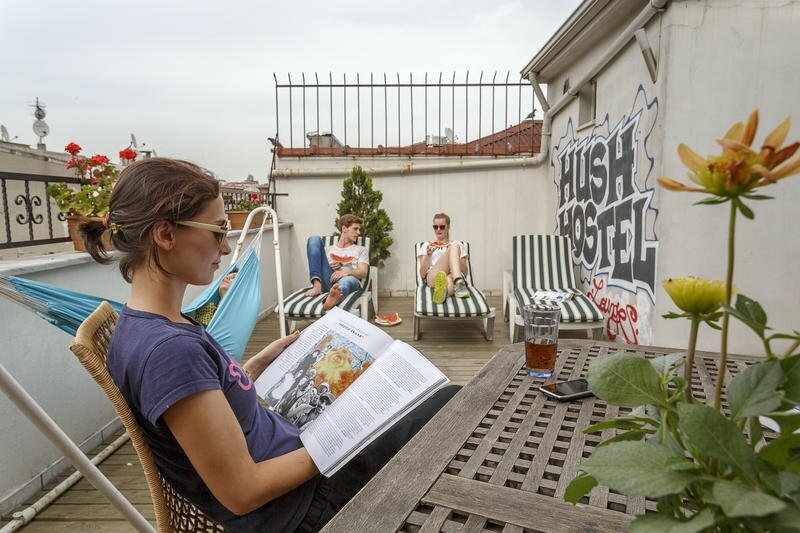 What else makes Hush Hostel Lounge one of the best hostels in Istanbul? In addition to affordability, location, and easy access to Sabiha Gögcen Airport, the hostel also offers an outstanding breakfast, relax zones, and a family atmosphere. Guests can choose to laze about in sun-loungers on the terrace, take a yoga class in the garden, or play guitar in the cozy lounge area. Add a great view over The Bosphorus strait and checking out of this Istanbul hostel won’t be easy.